ANGRY over comments one man made online about his former girlfriend, Lyndon James Hartwell felt a "lesson” was in order. So, in the dead night of December 10, last year, the 23-year-old North Deep Creek resident sneaked into the downstairs of the man's house through an unlocked door, and stole a motorbike. After pushing it down the street and taking a shower, Hartwell returned to the property a few hours later and stole a second motorbike. Both bikes were later found by police hidden behind Hartwell's house, while a 12 gauge shotgun, a .22 calibre bolt action rifle, a water pipe and two grams of marijuana were found inside. 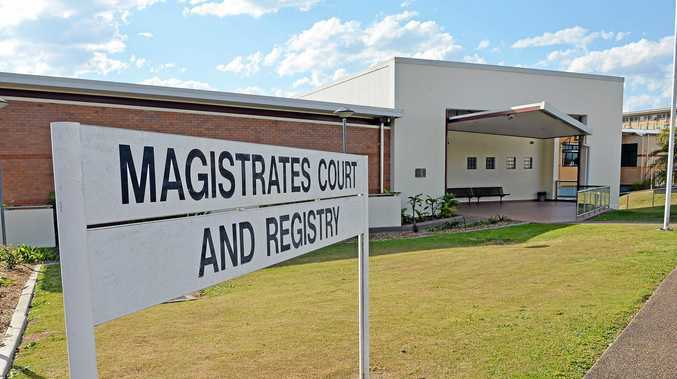 Representing Hartwell as he pleaded guilty in Gympie Magistrates Court this week to charges including stealing and unlawful possession of weapons, lawyer Chris Anderson said his client had taken "a particularly poor course of action” and was "very embarrassed” by his behaviour. "He was going here to confront the aggrieved,” Mr Anderson said, but the walk had calmed his client down enough to prevent a confrontation. Instead, Hartwell "thought he would teach him a lesson”. While Hartwell did not have a motorcycle licence Mr Anderson said bikes were a hobby for Hartwell, who had been diagnosed with an intellectual impairment three years ago and was recovering from a shoulder injury he had sustained in a motorbike accident. The court heard Hartwell had also received a statement from Queensland Military Rifle Club saying he was "fit and proper” to own firearms, but had never officially secured a licence. Noting Hartwell's history of drug and driving offences, Magistrate B. Barrett handed down a $1500 fine and suspended him from driving for two months.